Food manufacturing company Karro Foods Ltd has been prosecuted and fined £1.8m after two workers suffered serious injuries when they fell over 4 metres through a fragile roof light when carrying out roof repairs. 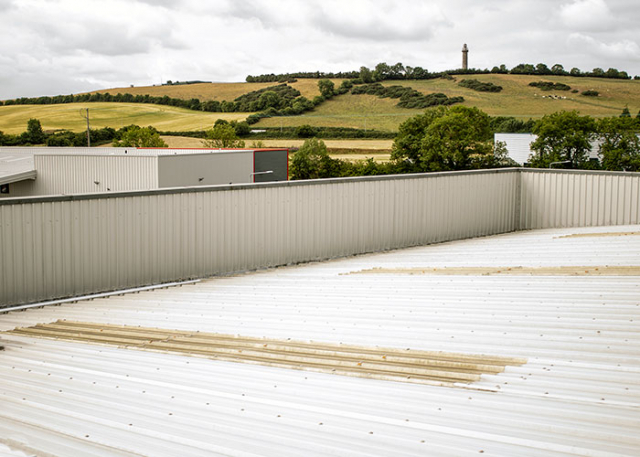 The workers were investigating a leak from the roof at the Karro Foods’ site in Yorkishire, they did not realise there were several roof lights on the roof. The roof lights were not visible due to the build-up of moss and dirt which had accumulated over the years. The operatives were working closely together, and both stood on the same roof light, which consequently fell through due their weight. One worker suffered four fractured ribs, a punctured lung, and muscular contusions to his outer right thigh. The second worker suffered a fractured skull, muscular injuries to his right leg and injuries inside his ear which cause ongoing problems with his balance, memory and mental health. The building owner - Karro Foods Ltd of Malton, pleaded guilty to safety breaches and was fined £1,866,000 and ordered to pay £8,019 in costs. Following the case, the HSE inspector commented: “This was a wholly avoidable incident, caused by the failure of the company to provide adequate controls against the risks arising from working at height. Consideration of roof fragility and rooflights, visible or not, should be made, especially on older buildings." This case is a perfect example of what can happen when work at height is not planned properly. A competent person should have carried out a risk assessment and identified what safety measures and equipment was needed to carry the work out safely. Our KEE COVER fragile roof light covers provide an effective solution for covering unprotected roof lights without blocking out the light. Skylights are covered by a strong mesh panel mounted onto a metal frame. Our system has been designed specifically for trapezoidal and standing seam roofs where inline roof level skylights are common. KEE COVER is available in several options, to suit different roof light sizes. For more information on the Kee Safety’s roof light covers, or any of our fall protection systems, call us on 01384 632 188 or use our online contact form.